In 2006, the founder of AVEXIR, Hans Cheng, decided to build his dream on memory module with his own belief and philosophy. Starting from no clients and a staff of two, he established his company into one of the best gaming memory module house in the world. 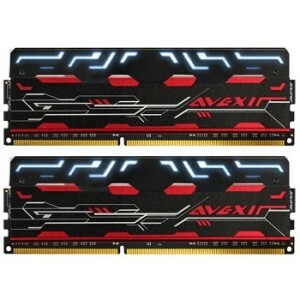 Working relentlessly, Hans and AVEXIR have faced obstacles, but never given up – and installs the belief that AVEXIR is produced for gamers – and in 2010, AVEXIR established D3 (Design & Development Department) and announced the first gaming memory, Core Series, and COMPUTEX 2011. From here, AVEXIR have grown from strength to strength, and in 2013 won Germany iF d&i Gaming + Entertaining Products Award.